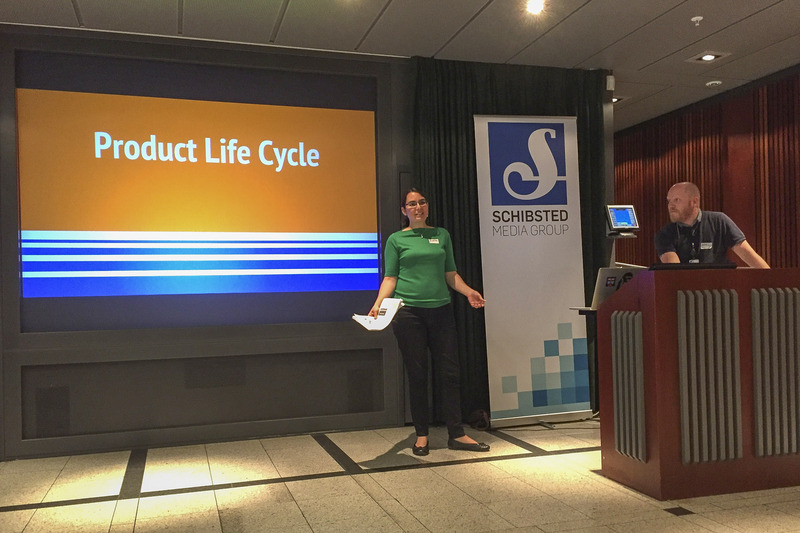 On March 8, 2016, Lidia Oshlyansky (VP UX, Schibsted), Atelach Alemu Argaw (Engineering Manager, Schibsted), Galina Shubina (former Engineering Manager, Schibsted), and I, Jacqueline Dozier (Product Manager, Schibsted) shared UX, product, engineering, and data science perspectives on an effective product life cycle at the Stockholm Women in Tech 2016 conference. On May 26, 2016, Atelach Alemu Argaw, Axel Haugan (UX Manager, Schisbted Next Gen Publishing), and I gave a shortened version of the same presentation at ProductTank Oslo. In our experience, the most effective product life cycles gather input from very wide sources, but execute in a very focused, stepwise, and iterative way. Small, focused efforts enable testing of very specific hypotheses, getting early feedback from both internal stakeholders and real users, and building each layer in a way that incorporates learnings from the previous layer. Determining cause-and-effect is hard if you’re doing too many things at once. Launch early and launch often – give other team members, partners, and real users a chance to test out the product and provide feedback. This prevents straying too far down the wrong path, from both a user perspective as well as a technical perspective. 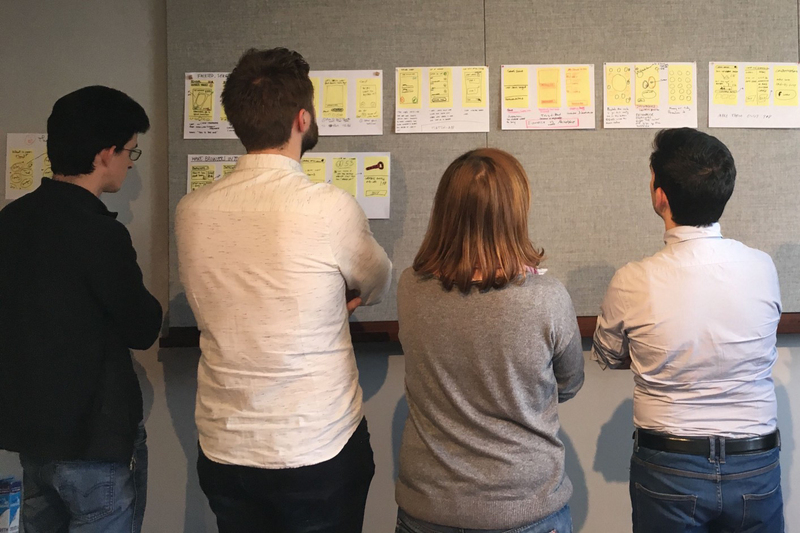 UX isn’t about having all of the answers or disappearing for months at a time to return to the team with the perfect visual design; good ideas can come from anywhere. UX is about meeting real users, testing ideas with them, and developing an understanding of their core needs, problems, goals and the context in which they use our products. Don’t just imagine who your users are and what they think; use insights from both UX and Data Science to find out who they really are, and then get out in the field and get to know them. 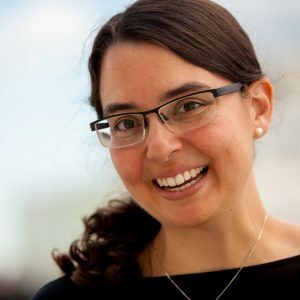 Interview them, watch them use your product in real life situations, survey them, study the data on how they use your product, prototype ideas and show them to users, and conduct A/B tests to learn how they behave in real situations. It’s important that these user insights make it back into the product development cycle, and this can happen in many ways. UX is involved in the iterative product lifecycle, bringing user perspective to the development process. The entire team should also be engaged in the UX process of getting to know and understand the users; product and engineering should also be getting out in the field to meet real users and apply this knowledge in their product development. Big data is fundamentally about having infrastructure in place to collect, process, and share information about your users in a responsible, efficient way. This data can then be used to improve your product development and personalize your product. You might improve your product development by noticing which features are most heavily used, and which are ignored, or to learn more about who your users are and feed back into the user focus we mentioned previously. Investing in infrastructure that enables you to systematically collect, process, and share collected data is something that will pay back tenfold through the insights that your organization gains. Your organization must have ready access to this information – but without compromising user privacy. Not only are there legal ramifications for violating user privacy, but as a user-driven company, aiming to offer your users a great experience, you need to ensure data security, anonymized data sets, and the option to opt-out for your users. Collaboration is more than just a buzzword. Everyone should have a voice in shaping the product. A matrix organization can incorporate all of those voices without complete chaos by enabling teams to work in small, nimble, focused squads with deep product, user, and subject matter expertise. In this type of organization, managers contribute as mentors, coaches, roadblock removers, and facilitators. People can go deep into their specialization and also collaborate widely with other specializations. Ideally specialists are valued for the unique perspectives that they can provide, and their specialist expertise is respected. People exhibit curiosity about different specializations, and aim to grow their own expertise through this collaboration. This results in individuals that have a variety of skills on a spectrum, not people who view their roles as limited by a narrow job description. Many companies, including Schibsted, already aim to work like this. If your team already works this way, please keep doing what you’re doing and encourage others to do the same. But assuming your team doesn’t work this way and you are not the company CEO, what can you do with this information? Focus on collaboration with the team/people you have available, respect/appreciate specialization. Unify stakeholders in your team, increase transparency with the different specialization. Encourage processes like iterative cycles, design studios, etc. that enable inclusion of feedback. Seek information about your users. Seek data to inform difficult decisions. Look for opportunities to create roles for your uniques skills and interests. Take an iterative approach to the product lifecycle. Focus on your users. Be data informed. Encourage cross-discipline collaboration. 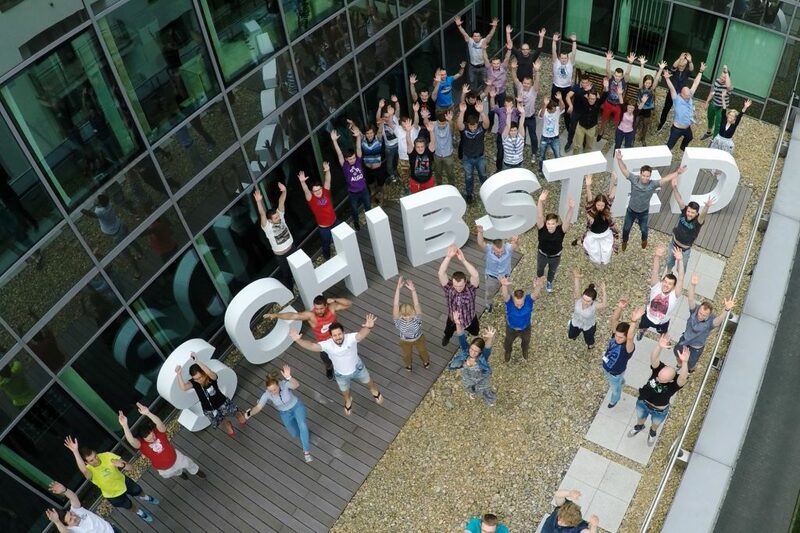 Join Schibsted!